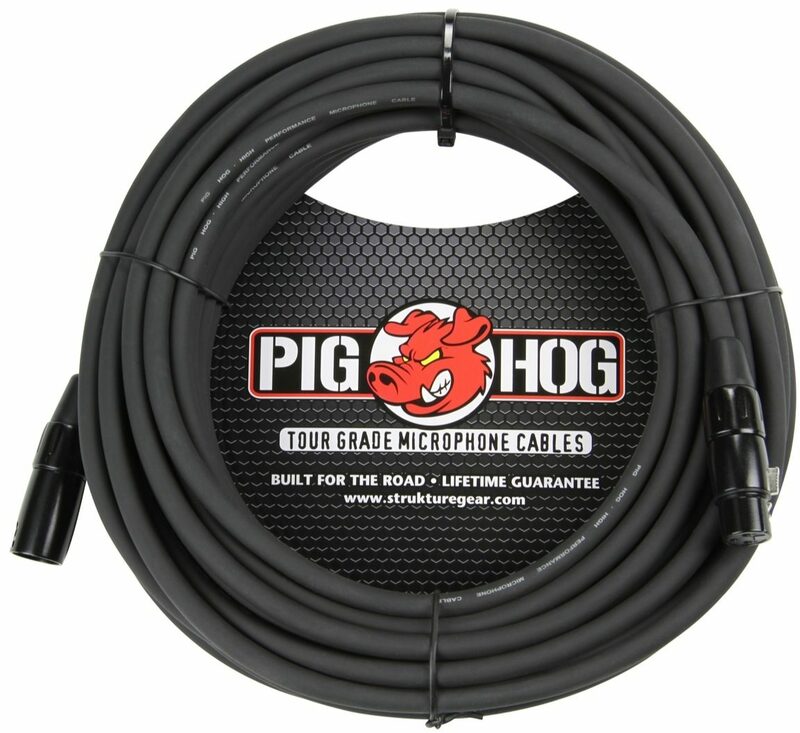 These extra-thick XLR cables are made with tough rubber coverings to stand up to the wear and tear of the road -- and backed by Pig Hog's lifetime guarantee. Music Style: All types of music. Overall: These cables are thick, have great connectors and wrap easy. Don't buy those cheap cables, these are a great fit for DJ/band/stage use. Musical Background: Playing music for over 20 years. I play guitar and drums. I typically jam at home and try to record. Music Style: I enjoy a lot of rock 'n roll. I also enjoy a lot of classical music. Sound: I would characterize the sound quality of this product as having no tonal impact on sound, which is what I expect from a high quality mic cable. The cable seems quiet, even with an unbalanced cable in the same audio chain. Feature: The cable comes equipped with high quality, high gloss black metal ends with a reduced form factor. They're a little shorter than some Switchcraft or Hosa stuff. Totally a fully featured mic cable. Ease of Use: Cable should be fairly easy to use. No learning curve, no sharp edges. Quality: The product appears to be well made. I anticipate that this cable will last my lifetime. Value: I feel that this is a high quality mic cable at a very reasonable price. You can spend almost twice on a comparable cable. You'll only notice a lighter wallet. Manufacturer Support: Never had to deal with customer support. The Wow Factor: Not much of a "wow factor". It's a simple mic cable that receives and delivers a balanced signal from one audio device to another. Nothing fancy, which is... pretty good. Overall: Nice, heafty mic cable. The XLR ends jut out about 2" when installed in my preamp, which gives me about an inch more room behind my setup. Overall: Great cables. Thick, doesn't knot, rolls up easily. Clear sound. 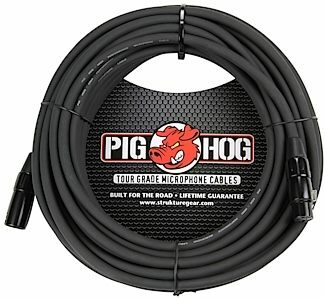 I recommend these cables for DJ's and Bands. Musical Background: Home musician since the 1950's. Music Style: 50's Rock prefierred but dabble in others. Overall: No loss of signal with 20 feet of cable. Decent thickness with good plug-ins. Overall: Very high quality mic cables. Very satisfied.